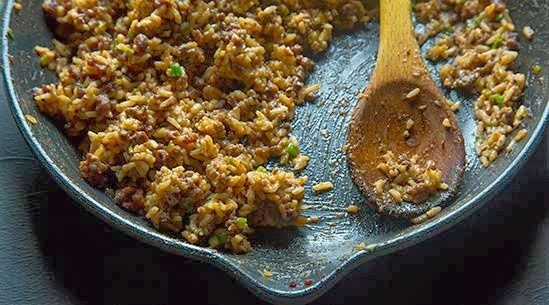 This is a WOW rice and you will never stop cooking this rice for your family and firends. I got this recipe down in New Orleans in the streets where the real cooks are cooking. Sauté the pork and beef over high heat until is no longer pink. Lower heat; add vegetables and seasonings and cook until vegetables are tender, about 5 minutes.Add cooked rice set a side.